William Hill (Owner and vineyard developer). 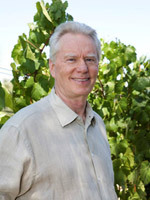 The vineyards originally developed by Bill Hill in Sonoma and Mendocino counties near the 38th and 39th parallels. Expression Wines are just that – expressions of the terroir found at different latitudes along the west coast of the US. Expression 44° is Eola-Amity Hills in Oregon. 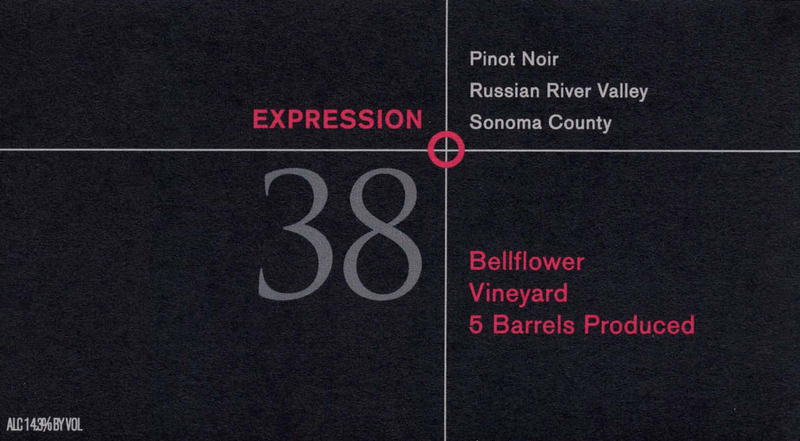 Expression 39° is Anderson Valley in Mendocino County. 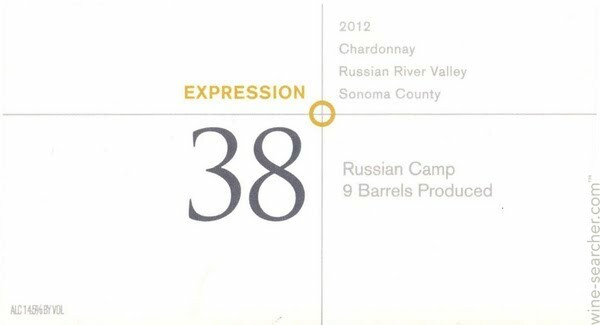 And Expression 38° is the Sonoma Coast (which includes the Russian River Valley). Bill Hill developed and for the most part has subsequently sold vineyards in all these area but he continues to buy fruit from his “grown children” with which to make these wines which he feels are the very Expression of the terroirs found in these sites. A 14.3% alcohol, 100% Pinot Noir grown on clay loam soils. The whole berries are gravity-fed into small open-top fermenters with some whole clusters used. After a 5-7 day cold soak comes a short, hot fermentation with both punch-downs and pump-overs. Aged: 11 months in 100% French barrels (20% new). Red-purple in color with well formed legs; dry, medium-bodied with freshly balanced acidity and medium-light phenolics. Ripe and juicy with darker red fruit and some spice to go with the cola and clay-earth. Pushes the right buttons for me. BearScore: 92+. A14.3% alcohol, 100% Pinot Noir from the Sun Chase Vineyard Vineyard (rocky loam with Goulding-series clay streaks) The whole berries are gravity-fed into small open-top fermenters with some whole clusters used. After a 5-7 day cold soak comes a short, hot fermentation with both punch-downs and pump-overs. Aged: 11 months in 100% French barrels (10% new). Red purple in color with well-formed legs; dry, medium-bodied with freshly balanced acidity; medium light phenolics. Riper richer style of Pinot Noir from the inland below Santa Rosa area of Sonoma Coast. Richer red fruit and spice. Spicier, earthier style with a fine rich feel in the mouth. Clearly new world in style. BearScore: 92. A 14.8% alcohol, 100% Pinot Noir from the Ordway Vineyard in Mendocino’s cool Anderson Valley. The whole berries are gravity-fed into small open-top fermenters with some whole clusters used. After a 5-7 day cold soak comes a short, hot fermentation with both punch-downs and pump-overs. Aged: 11 months in 100% French barrels (10% new). Red-purple in color with well formed legs; dry, medium-bodied with balanced acidity and medium phenolics. Spicy rich but in focus with ripe red fruit, cola, black and white pepper. Has a welcome bit of balancing bitterness to it. BearScore: 90. A 14.3% alcohol, barrel-fermented 100% Chardonnay with full malo-lactic fermentation aged 12-months on-the-lees (with lees stirring – aka batonage) in all French oak barrels (20% new) and bottled unfined and unfiltered. Golden yellow straw in color with well-formed legs; dry, medium-full-bodied with fresh acidity and very light phenolics. Classic, Russian River Chardonnay with spicy oak and good freshness. Ripe citrus and peach with notes of tree (apple, pear) and tropical fruit (banana, pineapple). The supple oak and bit of mushroomy earth integrate in nicely. Splits the difference between “food wine” and “cougar juice.” BearScore: 91.